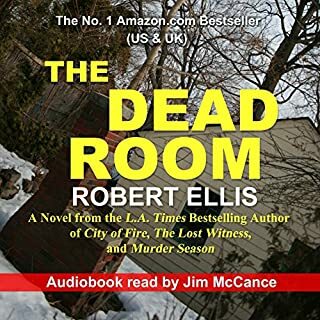 When a vibrant young woman is found in bed by her hotshot businessman husband, carved from belly to throat with a very sharp knife, the elite Robbery-Homicide Division of the LAPD responds in full force. Best-case scenario for lead Detective Lena Gamble: Nikki Brant's husband killed her, case closed, and on to the next crime scene before the ravenous Hollywood media can get their lurid tabloid machinery up and running. Three weeks before a crucial senatorial election, a man is gunned down execution-style in a D.C. office. 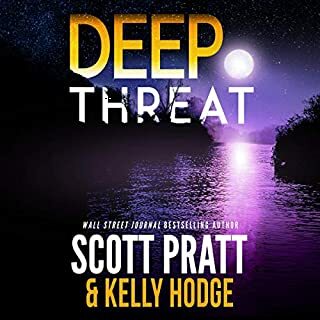 Police are quick to call it a case of robbery gone bad, but Frank Miles suspects something far more sinister behind the murder of his business partner. Washington's most feared image maker, Frank's ruthless media manipulation has earned him countless admirers...and just as many enemies. Now, for the first time in his life, Frank's met his match in a shadowy schemer as clever as himself - but far more lethal. As the body count rises, Frank becomes the US Attorney's chief suspect - and a cunning killer's next target. From the underground tunnels networking Capitol Hill to the dome high above, his race for the truth - and his life - will bring him face-to-face with power at its deadliest extremes - where winning isn't everything...it's the only thing. 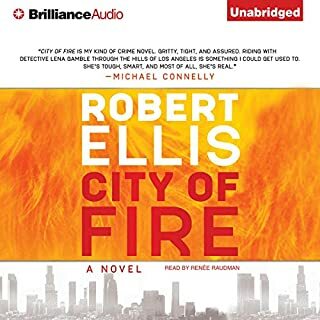 With his debut novel, L.A. Times best-selling author Robert Ellis raises the stakes in a heart pounding thriller set in Washington that feels so inside and so twisted it reeks of the darkest truth. Would you try another book from Robert Ellis and/or Andrew Tell? Yes, very well thought out ( if not somewhat "out there" ) and well performed. The central characters are well drawn, and their responses to the situations they are put in are "relatively" realistic. Could you see Access to Power being made into a movie or a TV series? Who should the stars be? Perhaps on Amazon Prime. 2nd tier character actors. 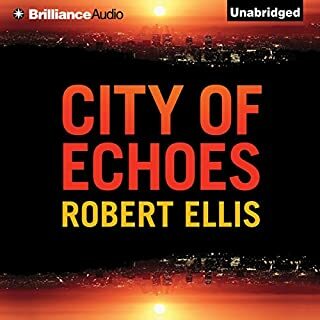 I was provided this audiobook by the author in exchange for an unbiased review which is what this it. This is a somewhat derivative, yet at times fascinating DC conspiracy drama, with enough character development and story lines to remain unique. Worth the credit , especially in the category. Loved this book. I have read all of Robert Ellis books. Politics is a dirty world and nobody can tell this story better than Robert Ellis. How can I get a Free Book to Preview? Would you listen to Access to Power again? Why? No. Parts of it were dry. Not really. I enjoy the narrator's voice. It is very soothing, not monotone, but minimal depth and inflection. Relaxing for me. Which character – as performed by Andrew Tell – was your favorite? No sympathy for anyone but Woody. There was a section where, IMO, the word f**k was used excessively. It was embarrassing because although I have a private office my colleagues can enter without knowing. I listen to audio books at a low volume to keep me focused. My colleague heard the f-word rush out from speaker and with wild eyes to what I was listening. I was not provided a free copy of this book for unbiased review. Note: I was voluntarily provided this free review copy audiobook by the author, narrator, or publisher. I really enjoy these types of stories. Sure, they often follow a certain formula, but that's OK. I don't think I've ever listened to one quite like this, though, with the main protagonist being a political adviser/consultant. So that was new and interesting. Anyway, it was enjoyable and there was never a dull moment. The narrator did a solid job as well. Kept me pulled in to what was going on. I'm not much into politics. However, this book kept me interested the whole time! Great plot and I never figured out how it was going to end until the end!! Take a chance - you won't be disappointed!!! I hope you enjoy it as much as I did! Please note that I was provided this audiobook at no charge by the producer for an unbiased review. This was a well told story about corruption and politics. At first, you think you know where it is going and then it takes a couple of very nice twists, just to keep you guessing. The narration was well done, and I thoroughly enjoyed my listening experience. A copy of this book was given to me in exchange for an honest review, which I have just given! I love mysteries and this one did not disappoint. It was an incredible rollercoaster ride and I spent the last hour listening as I paced the floor. What an ending! The narrator kept me engaged and actually ratcheted up the nervous tension and angst and anxiety of all involved. Kudos! This book was written in 2003 (or something like that) but it made for a very real political scenario for present day. Kinda scary actually. If you love mysteries, do yourself a favor and download this listen. A political mystery with all the twist and turns. A political mystery with all the twist and turns you expect and some you don't. Although sometimes a little preachy and shots taken at all the easy targets, it will still draw you into story until you can't set it aside. "Dogs were hard to stop." A superb rendition of a complex, suspended filled mystery set at the heart of the democratic system. Just wonderful. Frank Miles is pretty happy with his life. He and Woody, his friend from college, had together built a very successful political media consultancy making money and with powerful clients, many in their positions through the agency's help. He was even a friend and consultant to the President. His latest, most ambitious assignment was to ensure the election as Senator of Mel Murdoch, a mediocre man but the son of a multimillionaire with plenty of money to back his aspirations. But his opponent was a good man, if rather dull, and so Frank was enjoying using all of the creative energies required to push his client ahead in the race. Then Frank's friend and partner is murdered, apparently by a young thief, also found shot dead just outside their offices. And from this point on, Frank's life will never be the same. The book is well written with the more gentle beginnings laying down the groundwork of characters and the general workings of the agency with the indicators of the make or break power that it wields, a terrifying peek behind the political election curtain that feels all too possible. Then it speeds as action follows action, and a tangle of ideas and leads emerge as further deaths follow and the who? and why? mystery is chased. 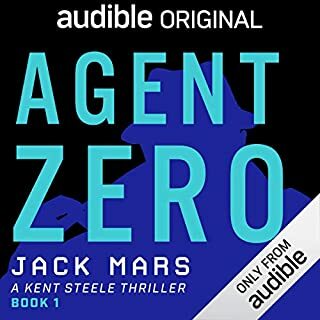 Strong personalities emerge, some quite bizarre, like the hit man who listens to self help audiobooks as he drives around Washington. A complex and exciting book needs a good narrator and Andrew Tell is superb, giving realistic and easily identifiable voices to each of the numerous protagonists, big and small. He fits the reading to the text perfectly, by subtle inflection picking up ugly undertones and ramping up the tensions inherent in the story. A masterful performance. 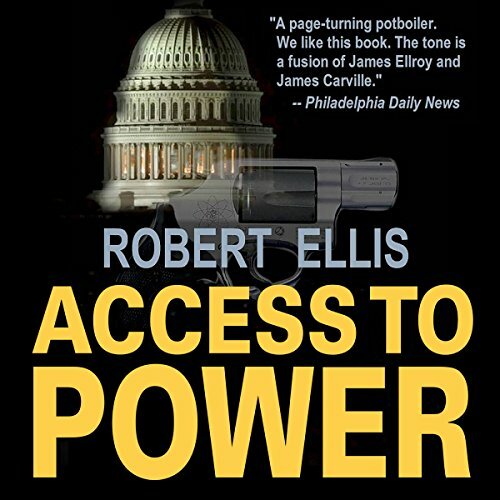 I was very fortunate in being gifted a copy of Access to Power by the rights holder, via Audiobook Boom. My thanks for that. 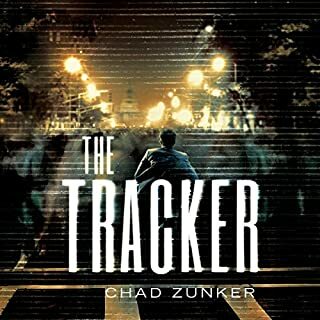 This was a book I found very hard to stop once I began to listen and was swept along with the machinations of the political world, the dirty tricks and, of course, the action packed twists and turns of the story itself. As one of the characters comments, "It's not a dog eat dog world any more ... It's rat eat rat. Winner takes all." For me, this book was a winner in every way and I can wholeheartedly recommend it.